It isn’t always easy to articulate why we like a work of art. And most of the time it feels like ‘who cares!’ – if we like it, we like it; simple as that. On one hand, we think that it is as simple as that – if you’re wandering round a gallery, or buying a piece of art for your home, then the most important thing is that you like it. Without needing to justify that. But, isn’t it fun to dig a little deeper? Maybe we’re on our own – but in these blogs we just want to chat about art! We want to think about why we like things; what is the point of it all; and why do big art institutions, and various other so-called-experts, insist upon telling us what to like looking at?? We know it seems paradoxical… in these blogs we are choosing what to show you, yes… But we are not telling you what to like. We simply want to open up a conversation – help people to enjoy art. After all, surely that’s the ‘point’ of it all? So, in this blog post, we are going to look at something very vague – texture and surface area. 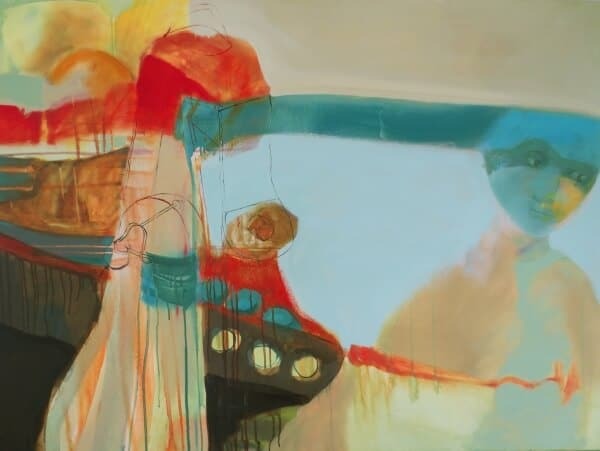 Of course, it’s interesting to look at what is depicted in art – the subject matter, and the types of things we like to have hanging on our walls. But we also think that it is interesting to consider why each thing is depicted in a particular way – and how that shapes the way we look at a work of art. Earlier in the year, we talked about the ‘impasto’ technique – the method of laying down satisfyingly thick paint, to create a rich and textured surface quality. We touched upon the visceral, emotive effect of this kind of surface quality in art. This time, we want to expand our horizons. We’re going to look at a few different artists in the gallery, and see how their approach to textures shapes how we might view their work. As always, let’s start with a bit of context. Below, we have laid out a couple examples of famous works of art, each with a different approach to surface texture. The first is Jan Van Eyck’s Arnolfini Portrait, painted in 1434, during the Northern Renaissance. In this painting, Van Eyck has paid meticulous attention to the quality and textures of fabrics, wood, and material details. Everything is rendered with absolute clarity – almost more real than life itself. We have mentioned before that the stereotype of painting, rooted in Renaissance ideals, is that it is like looking through a window into life. Absolute realism. It might be quite easy to see how a more abstracted surface quality, like the impasto-clad work of Lee Herring, has an emotive effect on us. 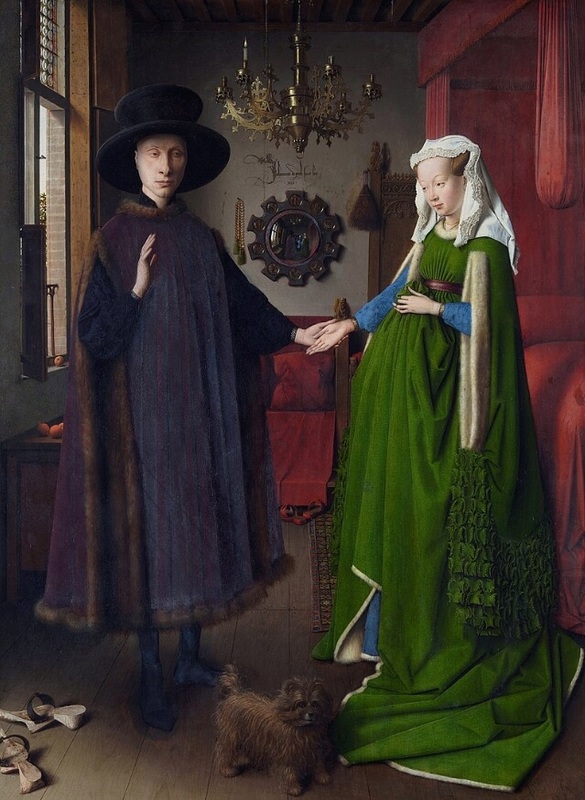 Whereas, something realistic, like The Arnolfini Portrait just seems quite normal to us. Nothing particularly special, in the age of the photograph. This kind of perspective shows how numb our eyes are becoming, these days. And so, we think it’s important to consider the effect of an image like this. Even though its surface quality of The Arnolfini Portrait is detailed, we could never mistake it for being real. The hyper-realism, and intricate detail of it is so bright with clarity that it almost looks like a tapestry. A strangely decorative surface. We can’t tell you what effect that will have on you, but to us it makes the painting look strangely beautiful. It’s not just a boring old portrait of two Renaissance strangers on the wall – it’s a hypnotising arrangement of colour and texture. 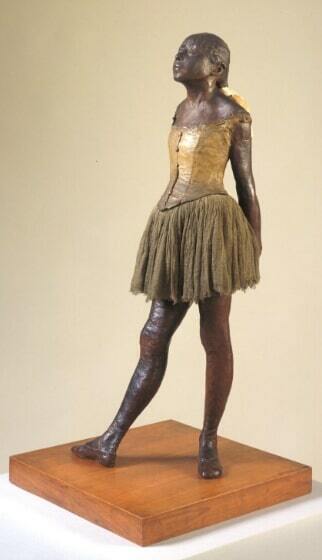 Then, from vivid luminescence, we could turn to Edgar Degas’s 1879-1881 sculpture – The Little Dancer. An example of manipulating surface texture to create a different kind of effect – to represent an impoverished fourteen year old ballet dancer, from the streets of Paris. The surface quality of this little urchin-dancer, has been captured in all its tactility, through the medium of painted bronze, combined with a random mixed-media assortment of different materials. Despite the perfectly real features of her face, and daintily laid point of her toes; Degas has captured her rough and ready skin, leaving marks of his own thumb prints on her legs; and has given the texture of her clothes a worn and grubby quality. He has employed a coarse surface quality, to represent her ruinous place in society. These are just a couple of examples of how a change in the rendering of surface and texture, in a work of art, can have a profound effect on its meaning, or on the way we view the scene. Small changes like this, can completely alter what artworks mean to us, and the extent to which we actually like them. So with all that in mind, we are going to chat about a few of our own artists, whose approach to surface and texture is interesting, different, or we just plain like. Chloe McCarrick’s feather prints, are proving extremely popular pieces in the gallery at the moment. Take her Pheasant Hen Feathers piece, for example. She has captured the fine detail of the feather so carefully, that it seems to glow, like Van Eyck’s work, with a luminescence. This makes it near impossible to figure out if her feathers are real or artificial; photographic or painterly; flat or three-dimensional. Further to this, she places this coloured, meticulous form, on a white background; enhancing its power. 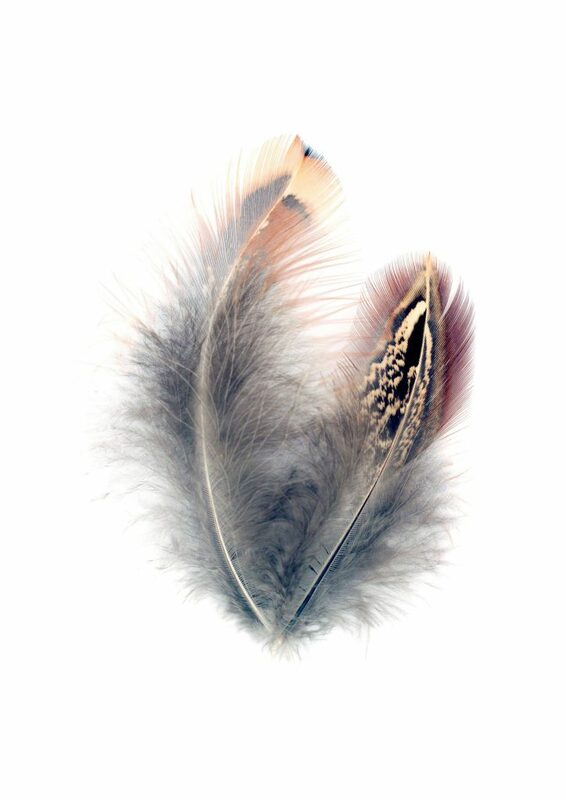 The contrast between the void of white space, and the deeply textured feather, creates a really rich, decorative effect that is, quite frankly, beautiful – and eerily emotive. If the perfectly rendered, decorative texture of McCarrick’s work can be compared to Van Eyck, then Gavin Donaldson’s approach to texture may be aligned with Degar’s. Texture is not employed to copy reality, nor is it a wholly aesthetic tool – his employment of different textures is distinctly emotive; even visceral. In the work Untitled, for example, Donaldson doesn’t just jazz up the textural effect of his paint. He also uses distressed canvas, which creates the effect that its name implies – a sense of distress and turmoil. In doing so, he proves that texture is more powerful than simply being a reflection of what things actually look like – it can be a psychological, and aesthetically pleasing (or disturbing), tool. Many people seem to feel that it’s silly to like a work of art, simply because you like the texture of its surface, or the effect of its paint (or whichever medium it has been created with). We say, quite simply – like what you like! We hope this blog post has got you thinking about those works of art that you can’t stop thinking about – whether its meticulous, geometric forms of an abstract painting; a rustic landscape; or the glowing porcelain skin of a Renaissance portrait – the possibilities are infinite, and we’re here to shed some light on just a small fraction of it all!